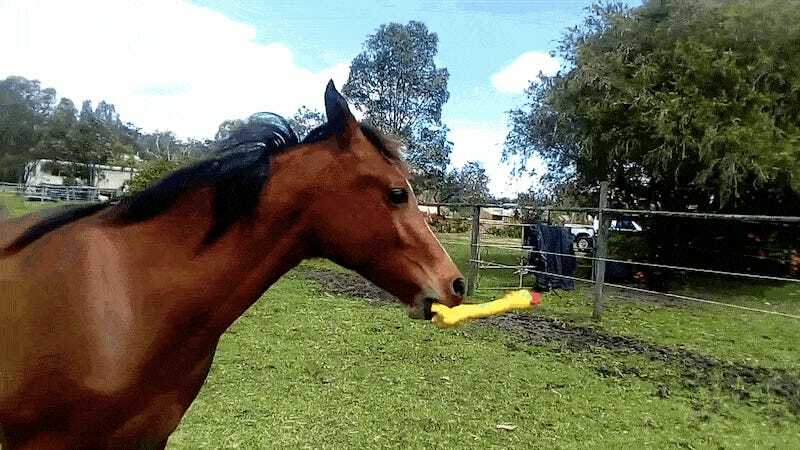 A very good horse named Kruzah was kind enough to demonstrate the proper way to utilize a rubber chicken, as evidenced in the video below. The lovely thing about Kruzah’s goodness that it is infinite: The precious horsey has also made instructional videos detailing the best way to operate a big silver ball, a toy named Pokey, and a rubber ducky. Kruzah is good. Are you?